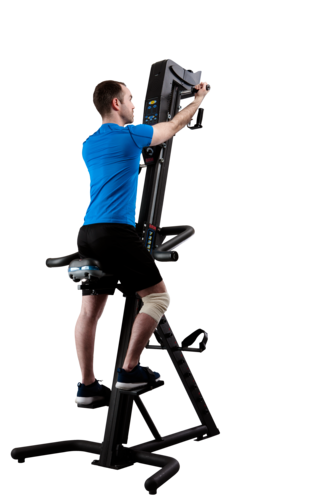 Developed with clinicians, sports trainers, health care practitioners and therapists, the Versaclimber Sportsmedical has built a solid reputation for helping gym users, fitness enthusiasts and sportspeople with rehabilitative training. A unique piece of equipment, it enables the isolation of muscle groups during training, making it ideal for treating common sports injuries. 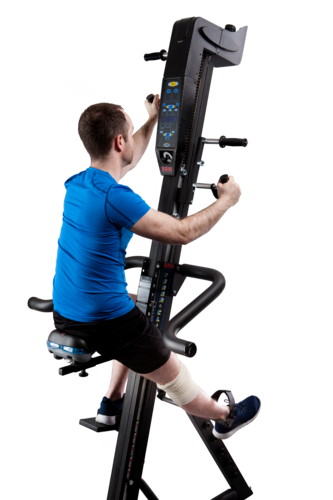 Fully adjustable to fit the height, weight and length of all types of athletes and patients, the Versaclimber Sportsmedical continues to grow in popularity with physiotherapists, sports doctors, sports injury clinics and injured athletes wanting a speedy return to action. 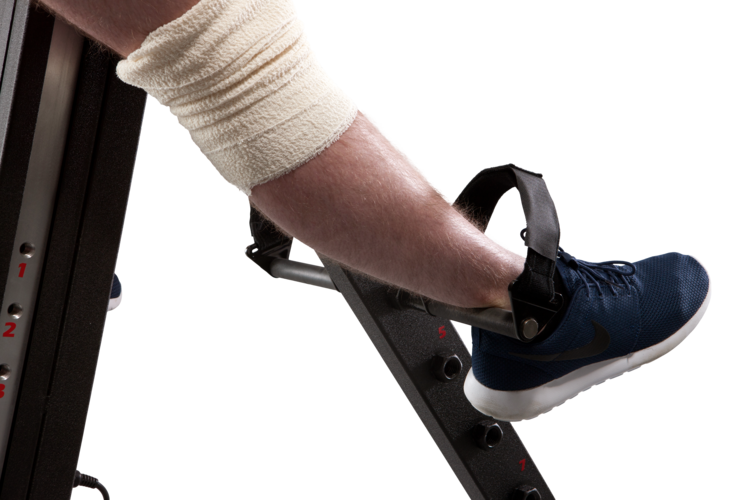 It offers a three-level rehabilitation system designed to cater for all types of sports injuries. Level one is a non-weight bearing, seated and leg isolated workout; level two is a partial weight bearing, seated arm and leg exercise, while level three is full weight bearing, standing arm and leg exercise. Heart rate is easily monitored on the machine, as it is fitted with a state-of-the-art console. A target heart rate can be programmed into the computer, to determine work intensity based on the user’s ideal heart rate, making the Versaclimber Sportsmedical popular among health professionals specialising in cardiac rehabilitation therapy. These products are not intended to diagnose, treat, or cure any disease. Please seek medical advice before using.